Do you need to connect a new device to the WiFi network? If you have lost the WiFi security key, you would not be able to be connected. On this case, if you had previously connected any other devices to that wireless network then the password key might be saved there. In case you previously connected to your PC and your computer is running Windows OS version 10 then you can view saved WiFi password on Windows 10 in three different ways. In this process, you can view the connected network password as well as of disconnected networks also. As you know there are many methods to find out saved WiFi password easily. 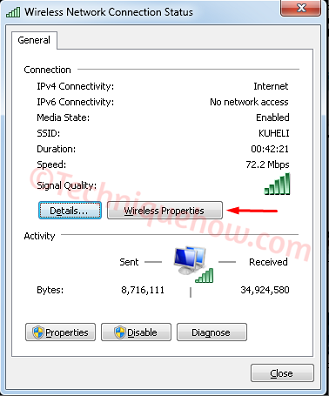 Besides of this method, we have few more simple methods to get the saved wireless network key on Windows 10 quickly. You can follow the network settings on Windows 10 to view saved password of the connected network and for all disconnected saved networks, you can use the command prompt to view all the saved passwords easily. How Is It Possible to See Saved WiFi Network Password on Windows 10? Windows OS normally saves the passwords whenever you connect to any wireless networks. This feature reconnects the WiFi network automatically for the next time. You can view the password of that connected network from the network settings. But, Windows 10 does not show the saved passwords of other disconnected networks in settings. 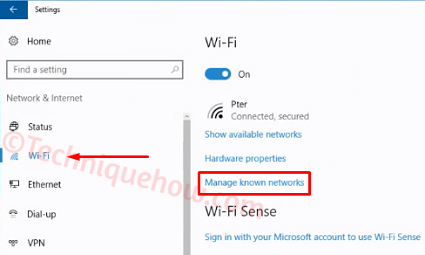 In this case, you can use WiFi key viewer tool or the command prompt to see the disconnected WiFi network password on Windows 10. You might be thinking that if those passwords are not seen on network properties, how a tool or cmd can do this! Well, it's very simple to explain. Whenever you will connect the disconnected network, you would see that the SSID will be automatically connected to the PC as it was previously saved. Means, Windows 10 does not delete the password once you disconnect. So, if it not showing on properties, this because of some security factors. But, command prompt and some WIFi password viewer software can easily reveal the password finding the exact saved location. 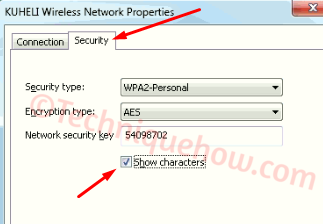 How to Find Connected WiFi Key on Windows 10? Then right-click on the wireless icon and click on 'Open Network and Sharing Center'. Also, you can find that option on 'Control Panel'. 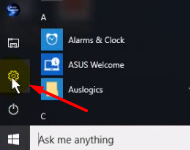 Now, click on the WiFi network name which is connected to your PC. A new window will appear. From the 'General' tab, click on 'Wireless Properties'. Now from the 'Security' tab, you will see the saved WiFi password. Just, tick on 'Show characters' to view the password. This procedure will show up the saved password of the connected WiFi network quickly. How to Find Saved Passwords for all Disconnected WiFi? 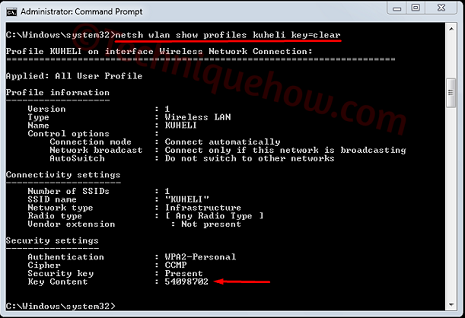 To view saved passwords of disconnected networks, you need to follow the command prompt process. 1. You just need to open the Command Prompt 'Run as administrator'. This process will easily show up the security key of that WiFi network. You can see the connected networks also through this process. How to Find out Saved WiFi Networks on Windows 10? At first, hover over the Windows logo. Then click on '⚙' icon which is the settings. Now, from the list, click on 'Network & Internet'. Next, click on 'WiFi' tab and then hit 'Manage known networks' option. Once you click, all of your saved WiFi names will be listed in a new window. These were the easiest procedures to find any saved WiFi password on Windows 10 OS.